To all U.S. Zip codes. If factory sealed, the item must remain sealed. 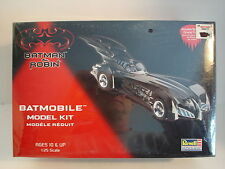 BATMAN FOREVER BATMOBILE MODEL # 6720 1:25 Scale 1995 Revall-Monogram DC Comics. Condition is New. Shipped with USPS Priority Mail. 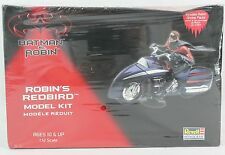 BATMAN ROBIN REDBIRD MODEL KIT REVELL MONOGRAM MOTORCYCLE NEW 1997 FIGURE 1:12. Plastic is sealed around the box, box is misshapen from storage but intact. I try to describe the overall condition as best possible. 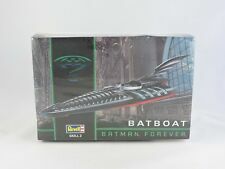 BATBOAT 1:25 Scale Model Kit. 1995 Revell Monogram. BATMAN FOREVER (movie film). Great for play or display ! REVELL- MONOGRAM: BATMAN & ROBIN, ROBIN'S REDBIRD 1/25 SCALE MODEL 1997 M.I.B. 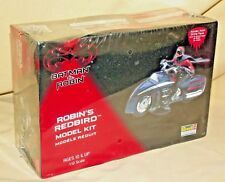 This is the BATMAN & ROBIN: ROBIN'S REDBIRD 1/25 SCALE MODEL KIT FROM 1997 REVELL- MONOGRAM MODELS. I've been collecting since 1972 when I started with Batman and Detective comics. Batman Forever. 1995 Revall-Monogram. 1:25 Scale. Using the zoom feature for the pictures will show you more detail. ROBIN'S REDBIRD. REVELL MONOGRAM. 1:12 SCALE. Monogram LUMINATORS Neon Monsters...the WOLFMAN....BOX ONLY !